University of Port Harcourt, Nigeria (UNIPORT) School Charges and Online Course Registration Deadline for 2018/2019 Academic Session. Authorities of the University of Port Harcourt, Nigeria (UNIPORT) have announced the deadline for the payment of school charges and online course registration for the first semester, 2018/2019 academic session. 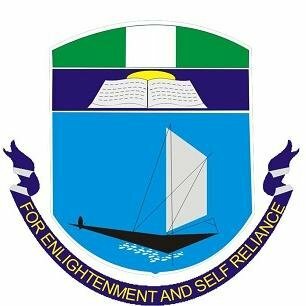 See: UNIPORT Registration Guidelines for Returning Students 2018/2019 and UNIPORT Registration Procedures for Freshers 2018/19. DEADLINE FOR PAYMENT OF CHARGES IS FRIDAY, 8th MARCH, 2019. FOR THE AVOIDANCE OF DOUBT, ANY STUDENT WHO PAYS HIS/HER SCHOOL CHARGES AFTER THE DEADLINE (FRIDAY, 8th MARCH, 2019), DOES SO AT HIS/HER OWN RISK. END OF REGISTRATION FOR ALL STUDENTS IS FRIDAY, 15th MARCH, 2019. Please note that in line with Section 10.5 of the General Regulations and Statement of Academic Policies of March, 2016, any student who fails to pay his/her School Charges and register his/her courses online before the end of Registration on FRIDAY, 8th MARCH, 2019, will lose his/her studentship for the 2018/2019 session. Duly admitted candidates for the 2018/2019 Academic Session are hereby informed that payment of Acceptance Fee, School Charges, and registration has since commenced. The registration exercise will end on FRIDAY, 15th MARCH, 2019.